Last month the results of the 2017 Virginia Governor's Cup wine competition were announced. I've had the privileged of judging in the preliminary round of competition (all blind, of course) for the past three years and am always waiting on pins and needles to see who comes out on top. To toast to this year's winners I reached into my cellar for some fabulous Virginia bubbles! 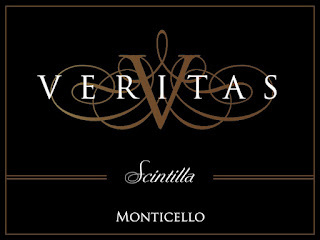 The Scintilla is made by the Virginia winery Veritas. Every time I'm around Charlottesville I try to stop in at Veritas for a few bottles of this, plus some Harlequin Chardonnay and Petite Verdot. 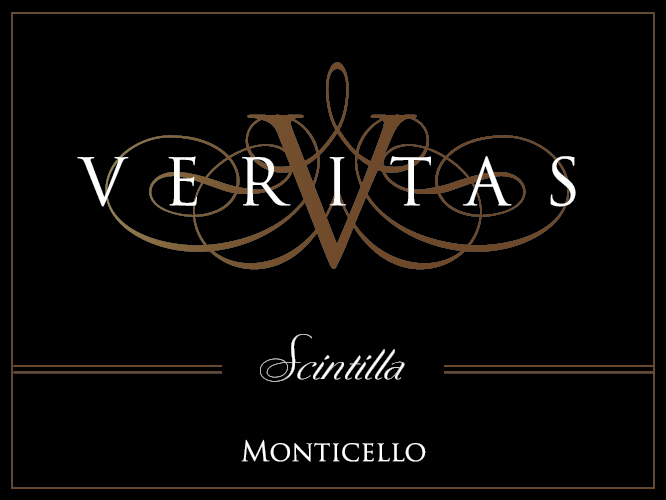 The Scintilla is made in the traditional champagne method. It spends two years on the lees (spent yeast cells) for two years, building up delicious yeasty notes. Review: The wine has a pale golden hue with tiny streaming bubbles. Aromas of orchard fruit, pastry, and honeysuckle dominate the nose. On the palate it is dry with zippy acid and a generous mousse. I love the way the flavors of quince and lemon zest help bring out the intense biscuit, roasted nut, and brioche notes. Food Pairing: The wine is versatile, with the freshness for a perfect aperitif and the intensity to stand up to richer dishes, too. I enjoyed it with a plate of soft cheese and salty charcuterie. Bottom Line: A lovely sparkler - great for any occasion. I only wish this weren't my last bottle!